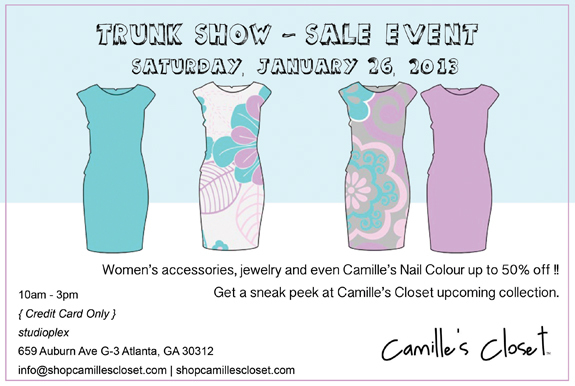 I also wanted to make all of my Atlanta ladies aware of an event happening this weekend: Camille's Closet is hosting a trunk show on Saturday. Go check it out for some great deals! 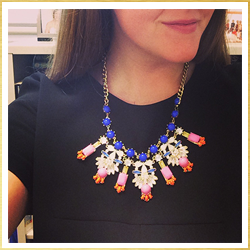 Love the black peplum & pops of pink! And that clutch... gorgeous! I looove this look! I have pops of pink in my B&W outfit today too. 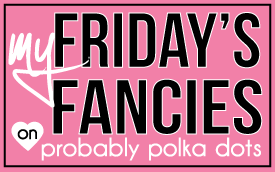 You're the 2nd Friday's Fancies post I've seen today with something in that Kate Spade checkered print, and I love it! Super cute! Love the pop of pink idea!! So adorable! Love the pink with the black & white. I love this outfit!! It's so pretty with the pops of pink!